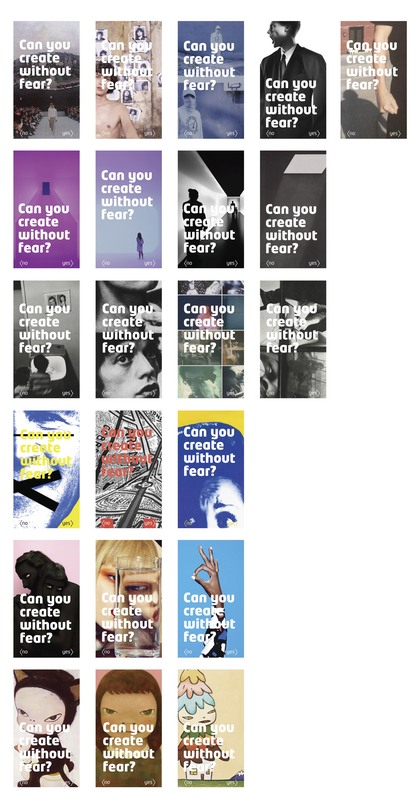 For the ShowNoFearShow project, I was tasked with developing an event incorporating six living artists chosen by peers, and design a visual identity for a poster, brochure, and digital web application. 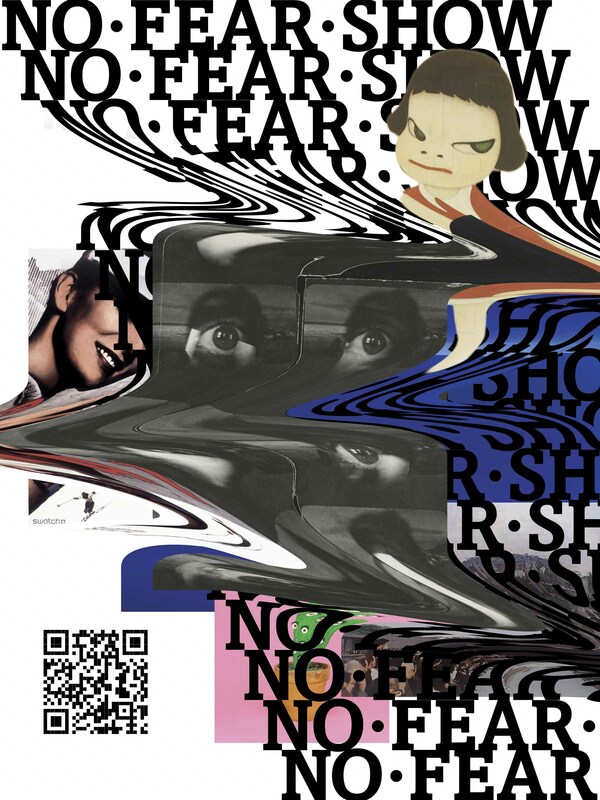 I created a 48-hour collaborative art workshop for Minneapolis and St. Paul residents that “Showed No Fear” by following prompts from QR codes marketed throughout the city. 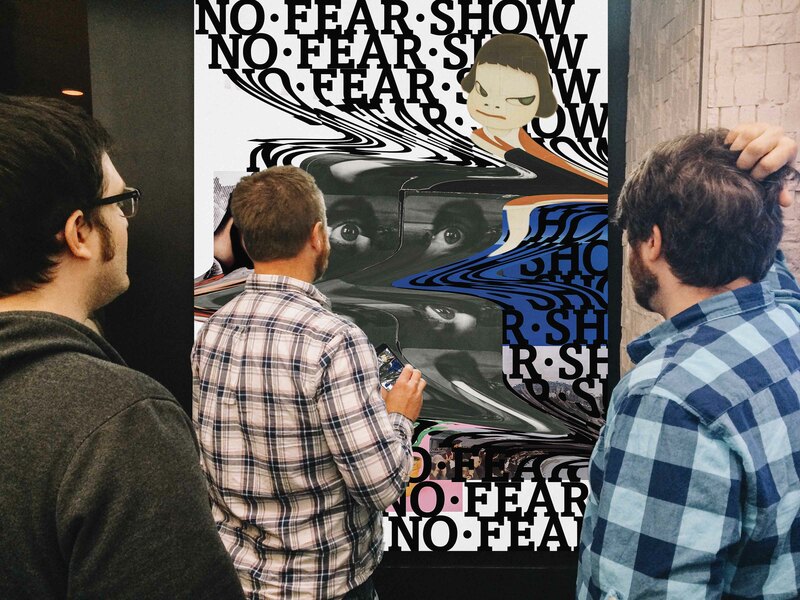 The artwork produced by the lead artists and participants would then be displayed in an exhibition titled the “NoFearShow” at the community focused art gallery The Soap Factory, where the workshop also took place. 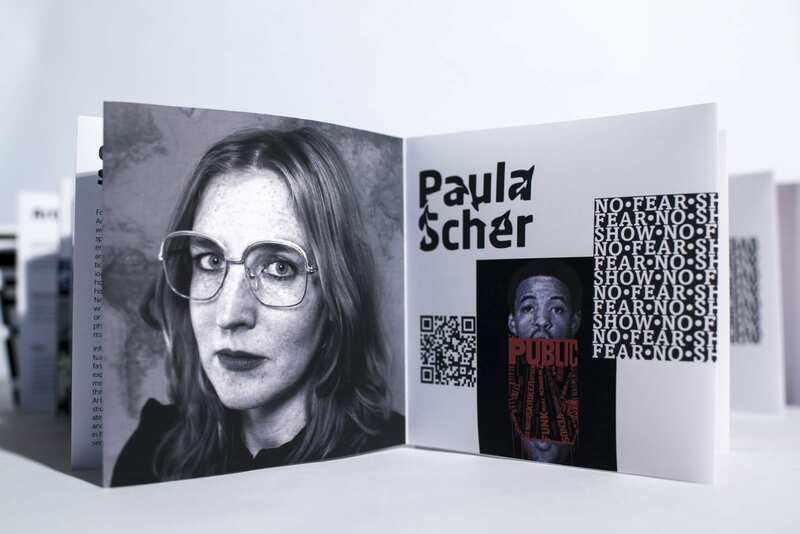 Materials needed to incorporate event info and the artwork and bios of the six lead artists. 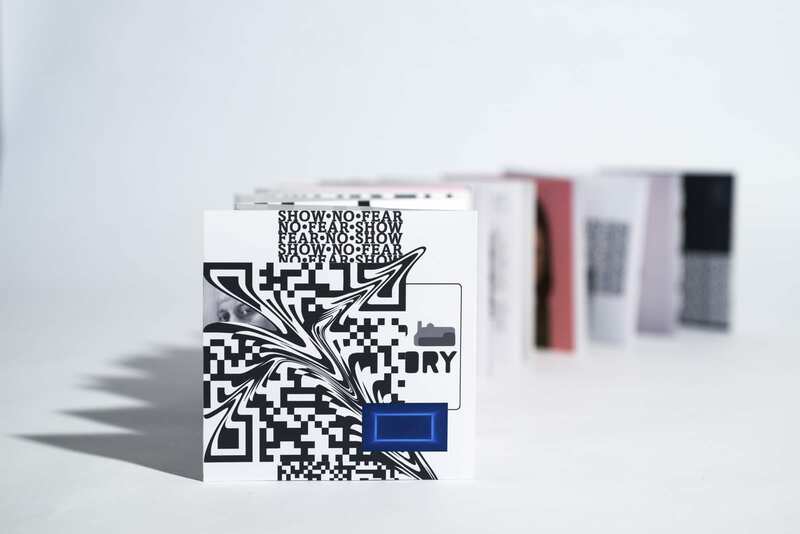 I utilized QR codes both functionally and as a design element. 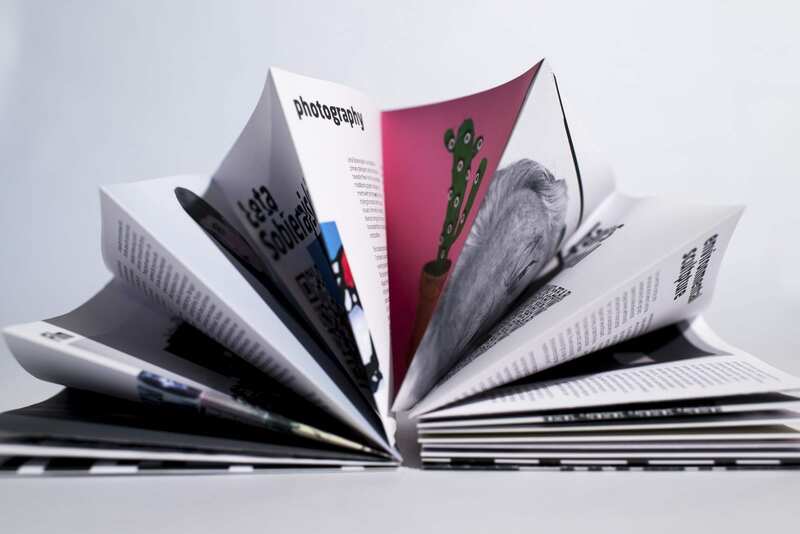 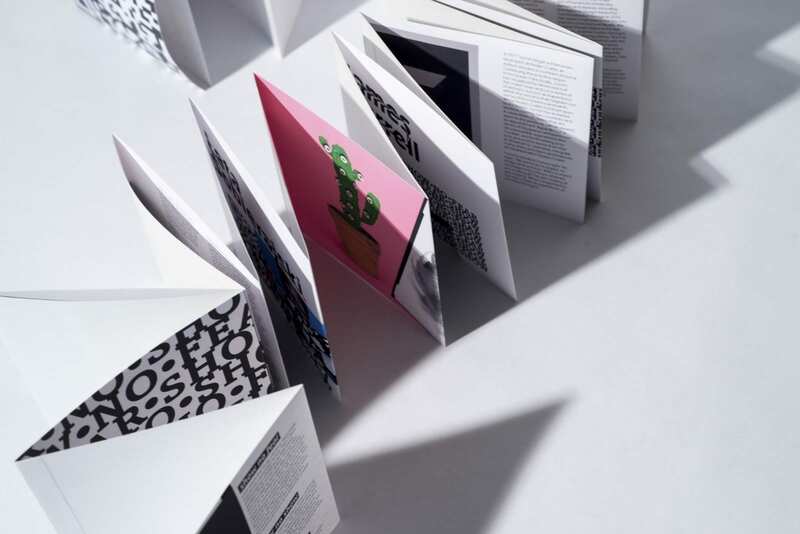 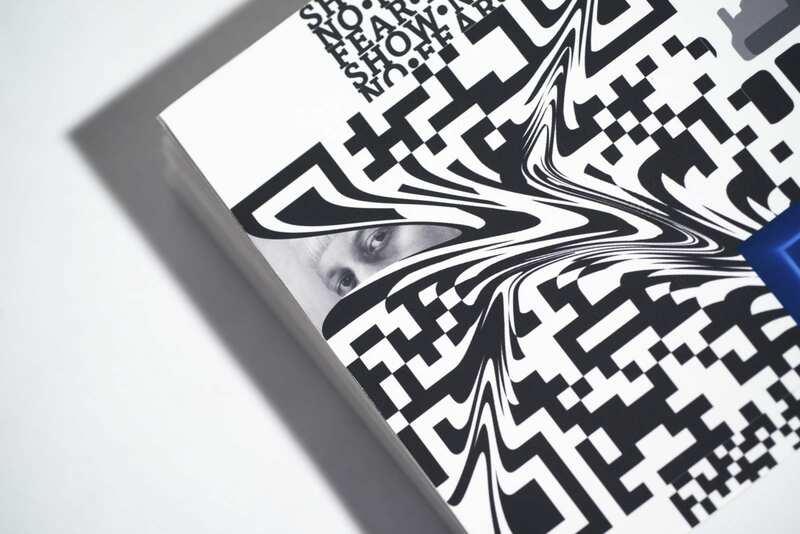 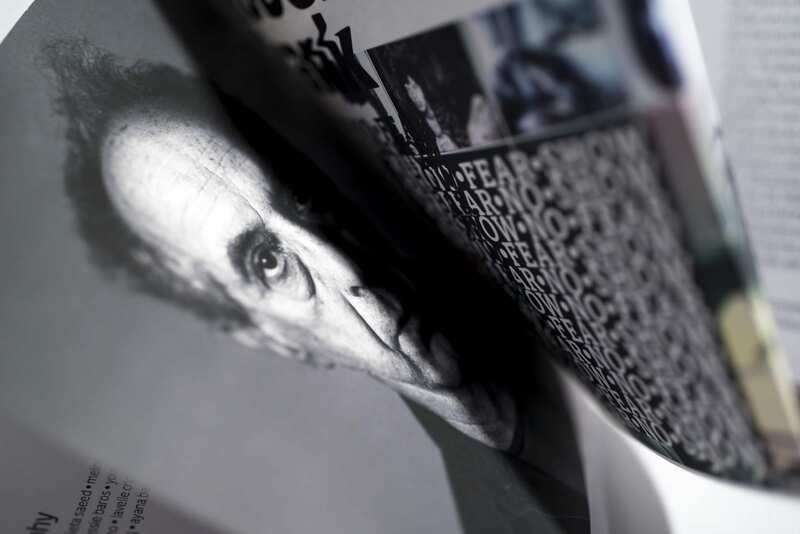 The exhibition guide is constructed in the shape of a QR code, which unfolds to reveal info about the show. 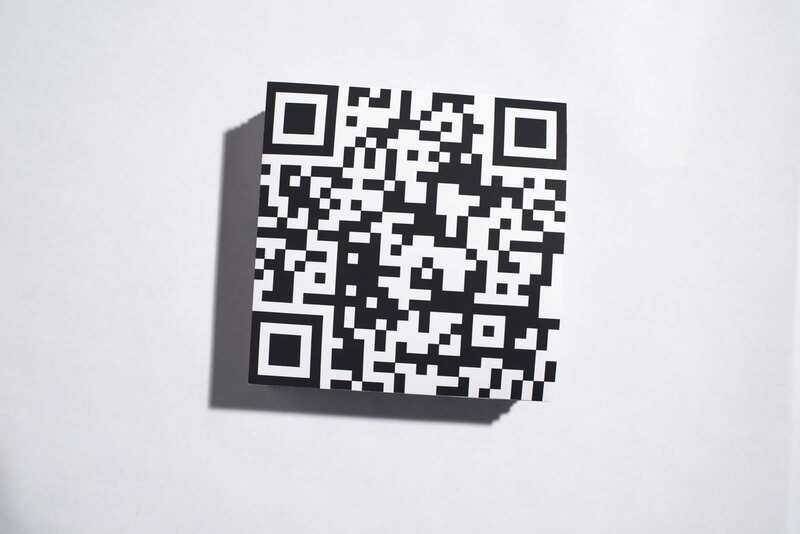 The brochure ends as the experience began, with a QR code prompting viewers to partake in the gallery’s community arts program.